The Omni San Diego Hotel, a 32-story luxury hotel, is connected via skybridge to the San Diego Padres Ballpark. 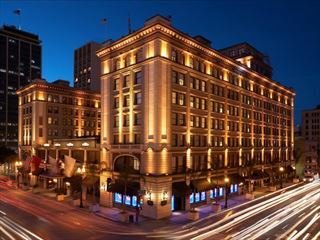 Nestled in the heart of the historic Gaslamp Quarter and across the street from the Convention Centre, the hotel is just moments away from the city´s top sites and attractions. Explore Balboa Park, take a harbour cruise or catch a Padres MLB game at PETCO Park. Take in the extraordinary views of the San Diego Bay, the downtown skyline or ballpark from the comforts of your guest room, or enjoy the sun-soaked outdoor terrace with pool, fireplace and the Terrace Bar & Grill. 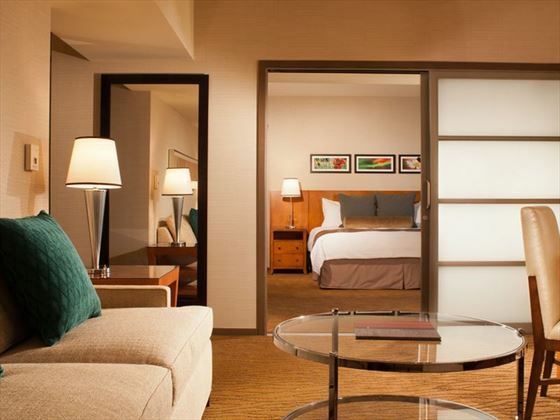 Best of all, this elegant hotel offers you the ideal getaway, with contemporary accommodations and impeccable service that Omni Hotels is known for. A selection of suites are also available. The Omni Sensational Kids programme provides four-diamond service to Omni Hotels’ youngest guests. Your children will enjoy plenty of kid-minded amenities, including suitcases filled with games and books, a goodie bag upon check-in and menu choices prepared especially for young travellers. Parents are provided with a list of top family attractions in San Diego, local emergency numbers and a safety/first-aid kit which includes a night light and outlet covers. This stylish and luxurious hotel sits at the heart of San Diego, making it easy for you to enjoy the best sights and attractions that the city has to offer.